Are you planning to travel with your four-legged best friend by a plane? Although it requires careful planning, flying with your dog can be a great experience. An airline approved crate is one of the most important elements of a successful trip. You don’t want to get all the certifications in order only to find out that your pooch is banned from boarding because of a unapproved crate. Regardless of the size of your dog, airline companies will require that your crate meets certain guidelines. You also need to be aware that every airline has its own policies and restrictions. To board your pup without incidents and have a carefree trip you will need the best airline approved dog crate. However, before you start shopping, check in with your airline and ask about their pet traveling policies. What are Dog Airline Crate Requirements? Made of heavy-duty durable plastic. The Aspen Pet Porter Heavy-Duty Pet Carrier is a sturdy and durable airline approved crate. It’s lightweight and comes in many sizes. The Aspen Pet Porter Heavy-Duty Pet Carrier is a solid crate option that will keep your dog safe in the cargo compartment. Made of heavy-duty plastic, it is durable, sturdy, and able to sustain airline abuse. The lightweight design of this airline approved dog crate, sets it apart from the competition. Hauling your pooch through a busy airport can be a nightmare, and you don’t want to get a crate that will make your job even harder. The front metal door features a secure and durable latch that is easy to open. Spacious door and ventilation openings on all sides provide ample airflow and allow your dog to observe its surroundings. The XL dog crate airline approved is suitable for dogs that weigh from 90-125 pounds. However, this product comes in many sizes and different colors to suit your individual needs. This pet kennel comes with metal bolts and nuts to securely fasten the top and the bottom. Thus making it impossible for your dog to escape and roam through cargo hold. Tie-down holes for extra security. The Petmate Sky Kennel is the IATA approved dog crate with extra security features to keep your dog safe during the flight. The Petmate Sky Kennel is IATA approved airline pet carrier. It comes in six different sizes, and we picked the one suitable for dogs that weigh in between 25 and 30 pounds. This kennel features a durable plastic shell and is made of 25% recycled materials. Ventilation openings surround the kennel, making the inside airly and comfortable for your dog. The door is made of extra strong steel wire and features vault style locking mechanism. The Sky Kennel has four lock pins that insert in all four sides of the crate, making it extra secure. To make flying with your dog easier, this crate comes with two live animal stickers, ID stickers, and clip-on bowls. Furthermore, it comes with a top handle for convenient carrying. Protruding rim handles on the sides of the crate meet airline requirements. The Sky Kennel also comes with pre-drilled zip tie holes. However, you will have to buy metal nuts and bolts to customize this crate for safe travel. 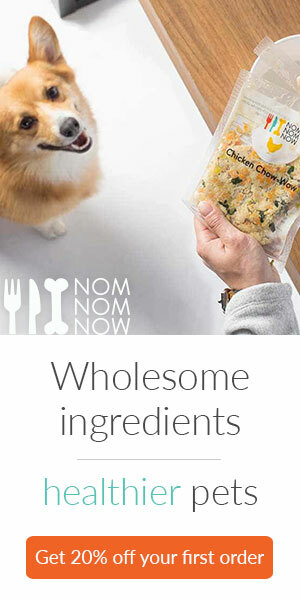 Comes with food and water bowls. The Petmate Ultra Vari Kennel can be a suitable air approved kennel for large dogs. It is lightweight and durable with a secure latch. The Petmate Ultra Vari Kennel is a reliable and comfortable crate for air travel. It is available in different sizes and meets most airline cargo specifications for safe travel. Made of heavy duty plastic, the shell is durable and able to withstand rough handling. Metal screws and covered door posts ensure the longevity of this kennel. The metal door is secured with a strong and durable but easy to open latch. The crate also has vents on all sides that provide ample airflow and keep the interior well ventilated. The eco-friendly plastic is easy to clean, which means that you won’t have troubles cleaning your dog’s accidents. The crate comes with metal screws and it is easy to assemble. This dog transport crate is suitable for pooches weighing from 70-90 pounds, and it also comes in other sizes. Stickers and bowls aren’t included. Due to removable wheels, the SportPet Design Plastic Kennel can be a great choice if you travel with a large dog. The SportPet Design Plastic Kennels Rolling Dog Crate is ideal for a range of purposes including flying with your dog. This XXL dog crate can also be used as a regular crate in your home. Thick impact resistant Poly shell can sustain tumbles and airline abuse while keeping your dog snug and secure. Metal slats on the vent holes are specially designed to sustain abuse from destructive chewers. The inside of this dog shipping crate is airy due to vent holes on all sides of the crate. The door features a metal hardware lock that ensures the safety of your dog during the flight. Since carrying a huge dog in a plastic crate can be difficult, this product comes with wheels. The wheels snap on and off as needed. This crate also comes with food and water dishes and four live animal stickers. Furthermore, metal bolts and nuts are included according to airline regulations. The sizing guide isn’t accurate. The Favorite Portable Airline Approved Dog Crate is a great option for small dogs that weigh up to 10 pounds. The Favorite Portable Airline Approved Dog Crate is an affordable option for small dogs that weigh up to 10 pounds. Besides using it for air travel this crate can serve for vet visits or car trips. The shell is made of durable plastic that will keep your dog protected from any bumps. The steel wire quick latching front door interlocks for extra security. This dog aircraft carrier features air vents on all sides that keep the inside of the crate airy and safe for travel. The top handle is easy to grab and makes carrying a lot easier. Furthermore, hasps can be combined with a belt and make the crate suitable for shoulder carrying. This crate also comes with metal bolts and nuts which makes it airline approved. The three-step assembly process is easy and doesn’t require any tools. Can be carried on a shoulder. Doesn’t include bowls and stickers. The Bergen Comfort Soft-Sided Pet Carrier is an airline approved crate that is a suitable option for smaller dogs and in-cabin flights. The Bergen Comfort Soft-Sided Pet Carrier is a soft duffle-bag style carrier that is airline approved for in-cabin flights. It comes in a small size for dogs up to 7 pounds, and large that fits dogs that weigh up to 22 pounds. This soft-sided dog crate comes with a soft washable fleece bed and rigid insert panel that helps keep the crate’s shape. The exclusive Pet Connect zipper opening allows you to pet and comfort your dog during the flight. Side mesh panels create maximum breathability and make the inside airy and cozy. Furthermore, half zip openings on both ends of the carrier allow for more airflow. To ensure that your dog stays safe during the flight Bergen included locking zippers, seatbelt loops, and reflective strips. Stationary carrying straps fasten together into the attached padded handle, and the shoulder strap is included for more carrying options. This is one of the airline crates for dogs that comes with bonus identification tags and three exterior pockets for added convenience. Comes with a fleece bed. Make sure that the nuts and bolts of your desired airline crate are made of metal. This is an obvious choice since metal promises strength and ensures the safety of your dog. Airline approved dog crates must come with metal nuts and bolts. However, come IATA approved dog crates have metal bolts covered in plastic caps. These are allowed by most airlines without problems. When it comes to soft-sided airline approved crates you should look for ones that have locking zippers for extra security. It is inevitable for a dog to get thirsty and hungry during the flight. Because of this, the airplane crates are required to have two separate bowls for food and water. These bowls have to be attached to the crate’s door so the airline staff is able to access the bowls without opening the crate door. The airplane crate needs to be properly ventilated to ensures the safety and comfort of your dog during the trip. For domestic flights, a crate needs to have two vent holes on the sides in addition to the door. For international travel, the crate needs to have air holes on all four sides of the crate. However, for optimal airflow and safety of your dog, we recommend crates with air holes on all four sides, regardless of requirements. Airline crate needs to be made of durable materials that are able to sustain turbulence and airline abuse. Generally, all airline travel crates are made of plastic, but some are more durable than others. Look for airline approved crates made of heavy-duty plastic and strong steel wire doors. The strong door latch is one of the main features to consider when looking for an airline crate. A secure locking system will ensure that your dog stays inside his kennel during the entire trip. You don’t want your dog endangering himself and others by running loose in the cargo hold. The following rules apply for international travel and are dictated by the International Air Travel Association (IATA). Domestic flights sometimes allow for slightly more relaxed requirements, but to be safe, it is best to follow IATA’s guidelines. Size: For international and most domestic flights, the dog travel crate is required to be the dog’s length + half its leg, thus providing enough room for a dog to move around. IATA requires height to be tall enough so a dog can stand in a crate without touching the top with his ears. Also, a dog needs to be able to turn around and stretch out comfortably. Metal Nuts and Bolts: Some crates will come with plastic nuts and bolts for assembly. However, metal nuts and bolts are required for airline travel. Note that metal bolts with plastic caps are allowed by most airlines. One Metal Door: Many airlines require that a crate has a single metal door on the front. Some dogs can pull the door and collapse it, which is why airlines insist on one wholly metal door. Note that most airlines won’t allow a crate that has an additional door on the top. Food and Water Bowls: Airline crates are required to have two separate food and water bowls that can be attached to the door. This is because airline staff needs to have access to the bowls without opening the door. Crate Door Must Be Zip Tied Shut: Travel crate door needs to be secured with zip ties so it won’t accidentally open during the flight. Carrying Side Rim: Airlines require a spacing rim of at least ¾ on all sides with ventilation openings. This way, a dog doesn’t have a chance of biting cargo handlers. It also allows for cargo handlers to safely carry the crate on each side. Crate Lining: Airline dog crates need to be lined with cushioning or absorbent paper in a case of potential accidents. Live Animal Stickers: Travel dog crates need to have “Live animal” stickers and “this way up” stickers on all sides. Some airlines will give you stickers, but you should call and confirm that, or bring your own. Air Holes: For domestic flights, a crate is required to have two air holes in addition to the door. On the other hand, crates for international travel need to have air holes on all four sides. Documents: You should include your dog’s information on the crate. This needs to include your dog’s name, any medications, your phone number, address, and other necessary info. Furthermore, attach flight number and contact info of someone at your destination. You can also leave a bag of food and feeding instructions attached to the top of the crate. What size pet carrier fits under the airplane seat? Only small dogs are allowed on in-cabin flights and only if they can fin under the airplane seat. Generally, soft-sided kennels that measure 18”L x 11”W x 11”H are able to fit under the seat. Still, you should call your airline and make sure that these measurements fall under their rules and regulations. How to determine the size of the dog crate you need? Measure your dog from the floor to the top of the head and add two inches to find the correct crate height for your dog. Then, measure from the tip of his nose to the tip of his tail and add two inches, to find the correct crate length. The width of the crate is in proportion to its height and length and will fit your dog if you got all the measurements right. What size dog crate do you need to fly with your dog? There is no particular size rule when it comes to airline approved dog crates. Ultimately, your dog’s size will determine the size of his crate. Use the above-mentioned guidelines to measure your dog, to determine what size crate he needs. Although flying by plane is the most convenient way of travel, it requires special considerations when dogs are involved. You should know that most airlines have a limited number of dog “seats” so it is wise to book your flight in advance. Once the arrangements are made you need to make sure that your dog has the best airline approved dog crate that will keep him safe and comfortable in the air. Look for heavy-duty travel crates with metal nuts and bolts, and make sure to familiarize yourself with your airline’s regulations.